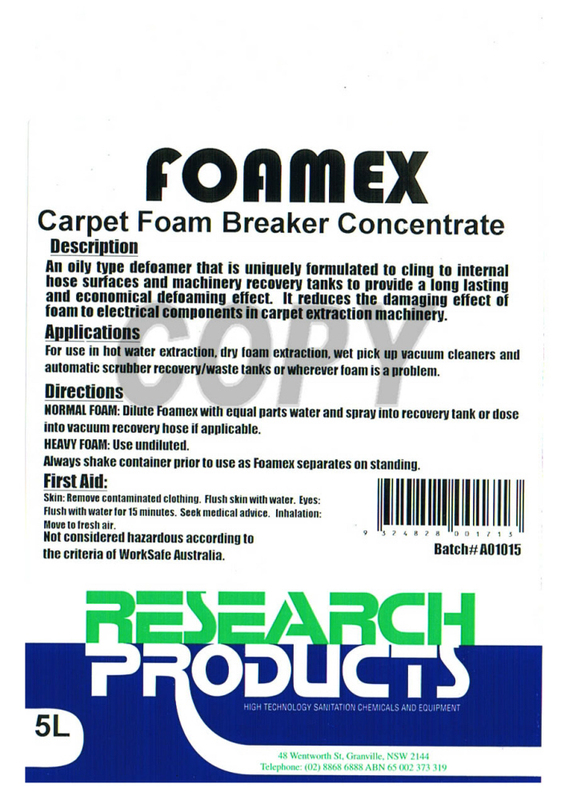 Normal Foam: Dilute Foamex with equal parts water and spray into recovery tank or dose into vacuum recovery hose if applicable. Always shake container prior to use as Foamex separates on standing. Skin: Remove contaminated clothing. Flush skin with water. Eyes: Flush with water for 15 minutes. Seek medical advice. Not considered hazardous according to the criteria of WorkSafe Australia. Click here to download the Foamex Material Safety Data Sheet.